Anthea Fowler (Bailey, 1950-56) – We have been moving back to live in the UK after 10 years in France. We lived in the Vendée for that time and really loved the relaxed way of life, the food, the weather, etc. Our French neighbours were very welcoming and we made many friends there. Julie Peake (Albrow, 1950-56) -Unfortunately, I will not be able to attend the annual reunion in March 2018, as John and I will be travelling around South America at that time. Over the years several old school friends have sent me photos and updates of the reunions but I believe that only a couple of girls from my year were there in 2017. I left Slough High School in 1956, went on to Goldsmiths College and then taught in London before marrying an Australian and moving here in 1961. Since leaving England I have been fortunate enough to visit several school friends:- Jackie Hoskins in Canada (deceased), Jill Mansfield in Poole (deceased), Margaret Curl in Oxford (deceased), Jillian Rider (deceased) and also Sue Clarke, Alyson Skinner and Angela Rix. I have had a great life here in Australia. We have 3 children and 8 grandchildren. We live near the beach in Buderim, Queensland, and have such a full life we don’t know how we ever found time to work!! I would like to wish you all the very best and hope the 2018 reunion is a great success. Val Parkes (1950-56) – Unfortunately, I shall be unable to get to the reunion for health reasons but do hope you have a very successful day. I would like to send best wishes to anyone of my era who remembers me. My grandchildren have been fascinated looking at my copy of “Ad Astra” and seeing that their granny actually was young once! It must have been an enormous task to put the book together and it really is a wonderful record of very happy times for us all. Rosemary Dickens (1952-58)– I am really sorry that I am no longer able to get to the reunions. My husband has brought me in past years (though not recently), but he sadly passed away last June after suffering from cancer for eight months. I often think of the friends I made at school and have lost contact with. Since retiring to Peterborough in 2005, I have become involved with Health Watch and am involved in a project in the local prison. I also volunteer at the hospital on Friday mornings and sit as a patient representative on the “Medicine Safety Committee” and “Clinical Audit Forum”. I find this very rewarding and fulfilling. My hobbies are painting (oils), cross- stitching and making greeting cards. Apart from these activities, I have very little time. I look forward to receiving the “Ad Astra” book and wish you all a very happy Reunion. Carolyn Mason (King, 1952-58)– sorry to miss the Reunion again, as travelling (from the Isle of Wight) is an increasing problem these days. But poetry still goes well and in 2017 one of my successes was a short-listing again (as in 2013) in the final 6 from 3,000 entries for the £10,000 Manchester Poetry Prize. Couldn’t get to the event this time (and didn’t win it!) but it certainly gave me a boost. Do hope you’ll all have a great day in March. 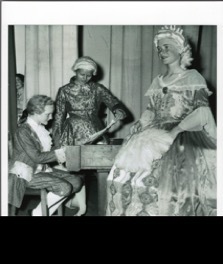 production of “The Boy Mozart” by Slough High School Choral Society in July 1955. In the picture are, left to right: Angela Mactavish as Mozart, Georgina Baker as Mozart’s father and Susan Pattemore (later Barnes) as the composer’s mother. Ruth Sheppard (Clark, 1955-62) – It has been another very busy year and I have added the role of Assistant Church Warden to the list of my activities. I am still singing with the “Gaslights” Old Tyme Music group and am planning my next recital of British Song for this May. Holidays have included a trip to Israel and a river cruise in Provence. I am looking forward to meeting up with friends again and am having Desne Clarke (Hartwright, 1955-62)to stay over Reunion weekend. Celia Johns (Nelmes, 1955-62) – Nothing has really changed for me over the last few years – I am still General Secretary and Webmaster of the National Association of Choirs, and Musical Director of the Gildenburgh Choir in Peterborough. That said, we had a lot of fun in the Choir last April, when we took the big step of going on a short tour to the Isle of Man. Luckily, the Irish Sea behaved itself both going and coming back, and we had no traffic delays getting to and from Heysham. We had one day on a coach tour round the island, and we performed two concerts while we were there, one on our own in Peel Cathedral and the other as a joint concert in Douglas with the ladies’ choir Manx Voices and the Lon Dhoo Male Voice Choir. Health continues to be good, although one knee is starting to creak a bit. We still get away several times a year, mainly on coach tours, although we had a very good trip to Portugal for a week last October; found some lovely, sunny, warm weather, as opposed to cold and fog in the UK…. Good wishes to all my friends from SHS, whether attending the Reunion or not – I manage to keep in touch with a fair number through social media, and can thoroughly recommend Facebook for finding long-lost friends in far-off places! Debbie Wright (Bishop, 1955-62)– I am sorry I cannot attend the reunion, as the date clashes with a choral concert of Bach’s “St Matthew’s Passion” in York Minster, in which I am singing First Tenor. I shall be going to Munster with the choir in June to sing, among other things, Elgar’s “The Music Makers”. I am still playing five recorders and my violin for as long as my sight holds up; am active in my local Quaker Meeting; and am a volunteer litter picker (when on one occasion two youths asked me if I was doing Community Service!). My grandson Isaac, now eighteen, has passed his driving test at the third attempt and bought himself a car. He did not know what he wanted to study at university, so is working. The rest of the family is well. I visit my younger daughter Eleanor in Harrogate most months. Naomi lives in Farnborough, so I do not see her or the grandsons so often. It is likely that the Old Paludians Reunion date will clash with future concert dates. I hope not. I wish the reunion well and am sorry not to be there. Diana Davis (King, 1957-62)– Unfortunately, living here in Ireland, I’m not able to attend the Reunion but always look forward to receiving the Newsletter to see if there is any news from my schoolmates. It’s now 12 years since my late husband Brian and I moved from Cambridgeshire to live here in Co. Galway for our retirement – Brian was originally from Ireland. We were so happy here in our new home, but then tragically in 2010 I lost my wonderful husband to pancreatic cancer, so naturally life has never been the same. I decided to remain here in Galway, as we had so many wonderful memories, and we made some amazing friends who are always here for me. I keep myself busy with visits to our three daughters and their families in England and Austria, and their visits to me. I was delighted to welcome the arrival of a new granddaughter over Christmas, which brings the total now to six grandchildren – 4 girls and 2 boys – so I’m kept busy with visits to all the family and some enjoyable holidays in Austria! Jennifer Ballard (Biss, 1959-62)– Unfortunately, I shall not be able to attend the reunion this year again, as March is the month when I must be in Cyprus every year now, preparing my little apartment for the upcoming summer season lets. Last year I made the decision not to base myself in Cyprus for half the year, as I had previously done, and shipped all of my personal stuff, built up over the past six years or more, back to the UK. Luckily, I was able to sell both my car and my piano, but all the books/DVDs/bookcases etc and the clothes that I had left there, some pots and pans and surplus bed-linen came back with me. I now have TWO sewing machines, hopefully just for the time being! I am now based in Plymouth and took on an allotment last September, which I am really enjoying despite the recent awful weather. Lots of digging and mending sheds and plans for the growing season ahead! In the autumn of 2016 I had a cataract operation on my R eye, which went disastrously wrong and I was left with no lens at all in that eye. After a 2 1/2 hour operation just before Christmas 2016, a new lens was implanted in the back of my eye and so far seems to be working well. My L eye was operated on last August and went more or less according to plan. Everything is now going well and I am fortunate to have two new good eyes, although I still have to wear glasses. The whole thing put a big hold on my life for quite a while, as I couldn’t drive or swim, nor could I read or use the PC much. Now I am again doing Tai Chi and go to classes on a weekly basis. My archery is improving now that I can see properly, and I have joined a local Writers’ Group, which is proving interesting. Musical activities in Plymouth are a little curtailed, as I have not made many contacts here on that front. My voice is not good now either, so I have not joined a choir. David Pratt (1956-63) – After leaving SGS I went to Exeter University and studied sociology and philosophy. I then worked for the BBC, first as a studio manager and then as a producer in the World Service. Having decided that the BBC was not my favourite place, I went to work for Longman (the educational publishers) as an audio-visual producer. I left there in 1974 to work for an American educational publisher in Los Angeles as managing editor. My then partner had a research post at UCLA (University of California, Los Angeles). Subsequently, we returned to the UK in 1976 and, having discovered that I really liked working on books, I worked at various publishers as an editor. When my first daughter was born I decided to go freelance, as my partner earned considerably more than me. I became a freelance picture researcher and picture editor – which I enjoyed more than anything I had already done. I’ve got two daughters: Laura, who works in New York for Thomson Reuters, and Miriam, who lives in Cambridge and is a freelance illustrator. Kind of retired and then moved to Spain four years ago. I live in Alhaurin el Grande, a small town 20 miles inland from the Costa del Sol – so avoiding the “gin-and-tonic belt” – with my partner Jane. Bob Moss (1956-64) – All being well, this year’s reunion should feature “Moss Bros” for the first time, ie. attendance by both myself and my two younger brothers Stephen Moss (1961-68)and James Moss (1969-76). Recently I have been in touch with a number of contemporaries with whom contact had either lapsed or been lost since leaving school. These include David Pratt(see above), David Garrodand Peter Newby (see below). Peter was in fact a “lapsed” Old Pal – his membership has now been reinstated. David Garrod reports that he and his wife have lived in Wokingham since 1976 and keep pretty active. He is still involved in music and has been organist at the local Baptist church for 39 years now. He is also involved in singing as a member of Crowthorne Choral Society. Peter Newby (1956-63)– After leaving school I went to Exeter University to study geography with economics. I came under pressure to switch to economics but resisted, as geography had always been my main interest. After my degree course I was offered a scholarship to do a PhD, which I duly obtained – my research theme being urban geography. With a colleague I wrote a textbook which was used both for ‘A’ level and in universities both in the UK and abroad. While in Exeter I met my wife Radka (her family came from Bulgaria), who was studying French and German. Two years later we married and I began lecturing at what was to become Middlesex Polytechnic (later, Middlesex University). Radka’s work was in St Albans and we based ourselves there. In the mid-80s I moved into central management, first in the field of change management. The only thing I’m thankful to Margaret Thatcher for is that she introduced a funding programme called Enterprise in Higher Education; I wrote the bid for Middlesex and suddenly found myself with a million pounds to spend on creating change! Subsequently, I became a professor and moved out of university management to start up a research centre within the university, the Centre for Research in Higher Education. On reaching 60 I took early retirement and we spent much of our time travelling. I also wrote a book (now into its second edition) on research methods for education. We continue to live in St Albans and enjoy gardening. We have two children – a son in Harpenden and daughter in Barnes – plus five delightful grand-daughters, aged between four and ten. I’ve been involved with the St Albans Civic Society for many years and still supervise doctoral students. I’m trying to improve my Spanish and am interested in wine, taking turns with others to host tasting evenings. I have good memories of my time at SGS and am pleased to be in touch again with old friends. 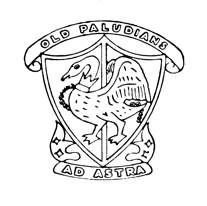 Philip Watson (1957-62)– I have a copy of an old photograph of the Maths Group for 1959 – with Mr G A Dickinson (GAD), the master (It is planned to scan this in for the website – Ed.). He taught the 6th Form students to play bridge. This I still play today, as well as being employed as a bridge tutor, with free weekends and cruises. When I joined the School in the 4th form, having moved to Slough from Gainsborough in Lincolnshire, my surname was Derks– I had been adopted by my mother and her second husband. This marriage turned out to be disastrous, so when I went to Nottingham University in 1962, I changed my surname back to Watson, my birth name, by deed poll. Thus in the Swan magazines you will not find me as Watson, but Derks. I was involved in the Chess Club, Bridge Club (see below) and Geographical Society and served as Editor of “The Swan”. Bridge. When we had completed our ‘O’ level examinations in June 1960, we had to return to school for four or five weeks. Consequently, GAD gave us a choice of what we would like to do. He suggested the following options: more pure mathematics, reading books, or learning to play cards – we didn’t want the first two options and told him that we could play cards: pontoon, whist, rummy, brag, poker etc. He stated that he would teach us to play (duplicate) bridge. Thus we had six periods (including two doubles) with the master teaching us bridge for the next few weeks. On entering the 6thform we joined the bridge club and played every Wednesday evening after school for a couple of hours. We also played at a local bridge club on a Friday evening. Thus my interest in bridge was generated. In early 1962 I went for interview at Nottingham University. The whole interview of 45 minutes consisted of discussing bidding systems and card play technique, including discarding and signalling methods etc! Subsequently I accepted the offer of a place and went on to study Economics and Statistics there. (Looks like he played his cards right! – Ed.). Geoff Dale(1950s)– A notice appeared in the “Maidenhead Advertiser” in September 2017 announcing the death of Geoff Dale. We do not have Geoff’s details in the members database but believe he attended SGS in the 1950s. He was married to Carolyn née Rafferty, a former pupil of SHS. Geoff played cricket for the Old Pals for many years before moving to White Waltham, where a memorial match for him was held on September 24th.